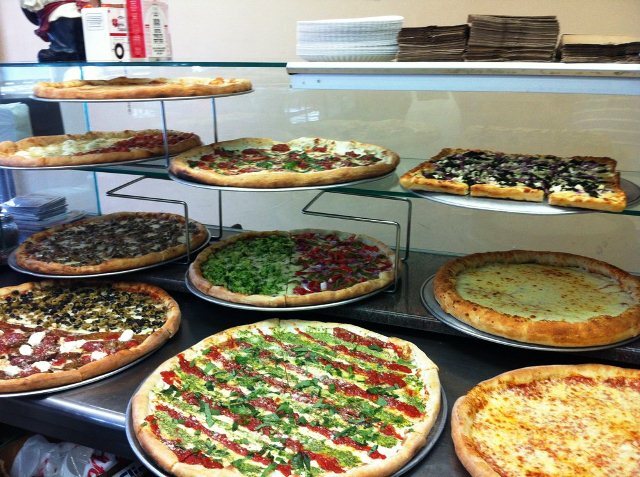 Cheapeats is always on the hunt for great dining spots that service all our fans. One type of cuisine that always seems challenging is Kosher. For those friends and fans that observe, Cheapeats is asked; “Can you recommend a Kosher restaurants?” I have to admit, it is a challenge for this gentile. So when a Kosher restaurant invites us to sample their food, we are on it. 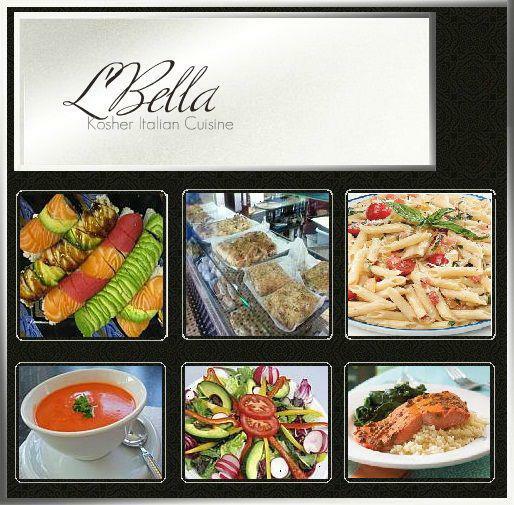 L’Bella Fine Italian Restaurant is located at 69-26 Main Street in the Kew Gardens Hills section of Queens. It’s a family owned business with Boris Davidov at the helm. This corner restaurant wrapped with windows, provides diners with a back-drop of this quiet neighborhood. And whenever I venture to Queens to check out a restaurant, I always invite a taster that is a resident . But this time I didn’t disclose the restaurant was Kosher. I just said; “Hey, you want to try out an Italian Restaurant?” And the answer is always yes. I headed over from Manhattan during rush hour and the drive took me about 4o-45 minutes. Not bad at all. Her drive was much less coming from her office in Woodside. And somehow we both arrived in unison. We were greeted at the door by a smiling server and immediately seated at prime table by the window. Still keeping her in the dark that we were dining at a Kosher Restaurant, I wanted to see if she could detect it. I’m such a sneak. 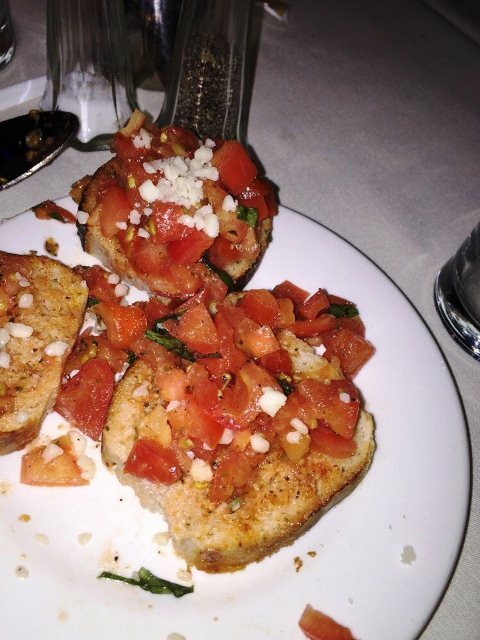 While looking over the menu, a small plate of Bruschetta was placed on our table. Something to wet our appetite. We hadn’t seen each other for a while and had lots to catch up on. Our poor server with the big smile kept walking over to ask; “Are you ready to order?” Apologetic, we hadn’t even looked at the menu. With much patience, he let us be. Finally we made our dinner choices. For her the Fish in a Picata Sauce and for me Fish in a lemon butter sauce. I guess it’s fish for both of us. We each were given a choice of two sides. Either a potato/rice or salad and then a vegetable. She chose salad and a veggie and I chose mashed potato and broccoli. Soon our plates were placed in front of us. Is this all for us? The server looked at us puzzled and said; “yes of course.” We both looked at each other and thought; “wow this is a lot of food.” The fish was cooked perfectly and the sauce was tangy from the lemon and velvety from the butter. The perfect combination. I kept eating but didn’t look like I was making a dent in my dish. After only eating half my meal we both realized that with portions this large, we could have split this in two. By the time it came for dessert, we were both stuffed and passed. “Are you sure?” Our smiling server asked, but really there was no more room. Now these fish entrees were about $24-$28 each which is above the Cheapeats mantra – “Happiness, $25 and under.” But the creative way to do this is split an entree or even take the rest home. Then you have room for dessert and or get two meals for the price of one. Trust me, you won’t go hungry. To give you an idea of the portions, look at our neighbor’s plate. It’s huge!! They also have a large pizza menu. They serve pasta and yes they even serve sushi. 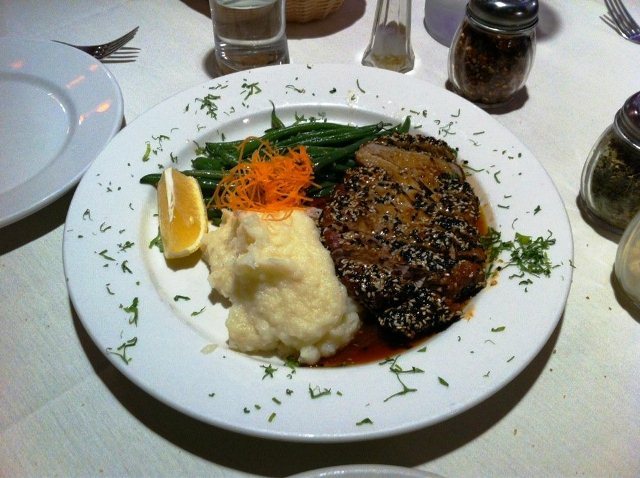 As with all Kosher restaurants, their meats are board certified Kosher and they don’t serve bottom feeder seafood. So no shrimp or shellfish. Honestly you won’t miss it. If you do observe, have friends that do and even clients that do, L’Bella is a good spot that will satisfy your belly and won’t break the bank. Did my dining partner ever figure out the restaurant was Kosher? No. Did I tell her? That would be a no too. Sshhhh, it will be our little secret. This entry was posted by Rosemarie on Tuesday, April 12th, 2016 at 8:15 am	and is filed under Italian, Kosher/Deli, Queens. You can follow any responses to this entry through the RSS 2.0 feed. You can leave a response, or trackback from your own site.